Cut out the letters and laminate them in order to use many times. It will be useful when you practice writing or spelling of these words. This downloadable teaching material is a great resource for elementary school students and students with special educational needs, learning difficulties, e.g. dyslexia at Beginner (pre-A1), Elementary (A1) and Pre-intermediate (A2) level. It is great for practising Word classes in English, and is useful for working on your groups' Spelling, Speaking and Writing skills. 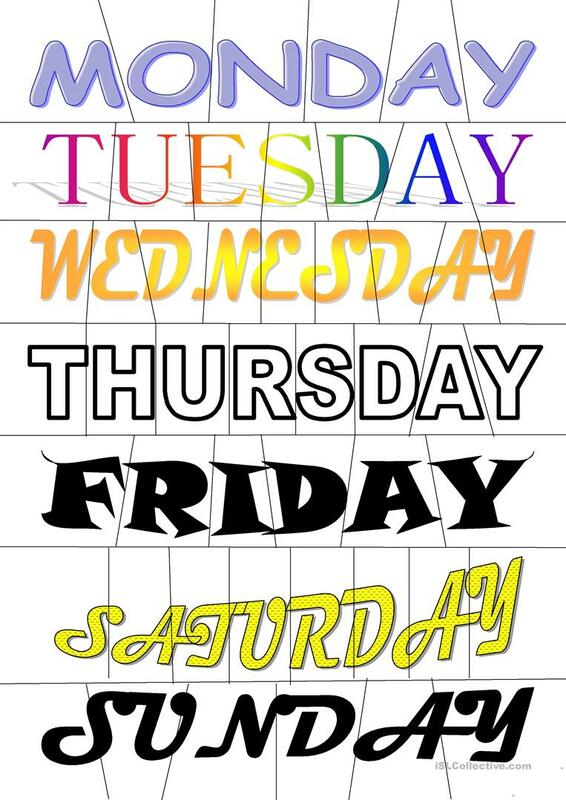 It features the theme of Days of the week. Okasya is from/lives in Russia and has been a member of iSLCollective since 2014-10-26 16:41:02. Okasya last logged in on 2017-11-15 05:03:17, and has shared 2 resources on iSLCollective so far.